"Cymbeline" is a short drama based on the play by William Shakespeare. Florence La Badie plays princess Imogen, who ignores the king's choice for her husband and secretly marries her chosen man (James Cruze), who is then sent to exile. James Cruze tells the world that his wife is true to him and would not give away to anybody the bracelet that he presented to her. He is then shocked when his messenger William Garwood brings the bracelet to him, and swears revenge. Florence La Badie is princess Imogen in "Cymbeline" (1913). 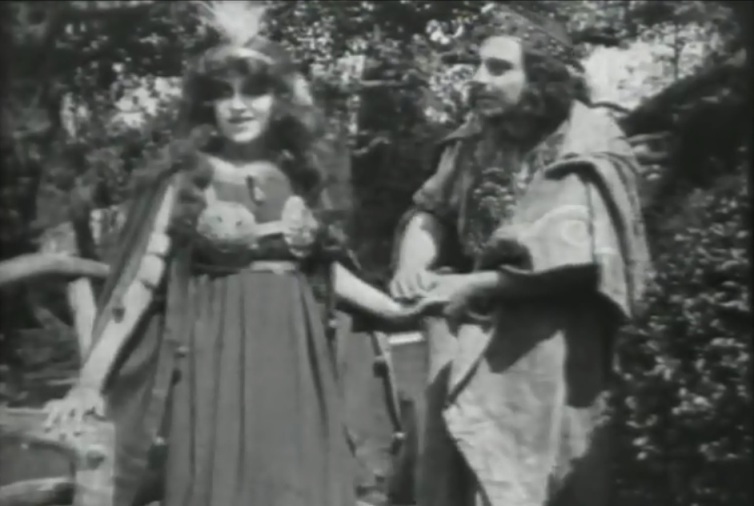 Florence La Badie is courted by James Cruze in "Cymbeline" (1913). 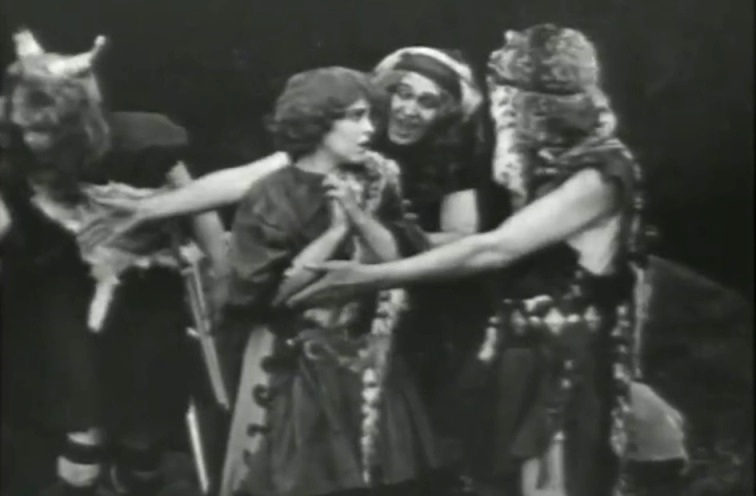 Florence La Badie is courted some more by James Cruze in "Cymbeline" (1913). 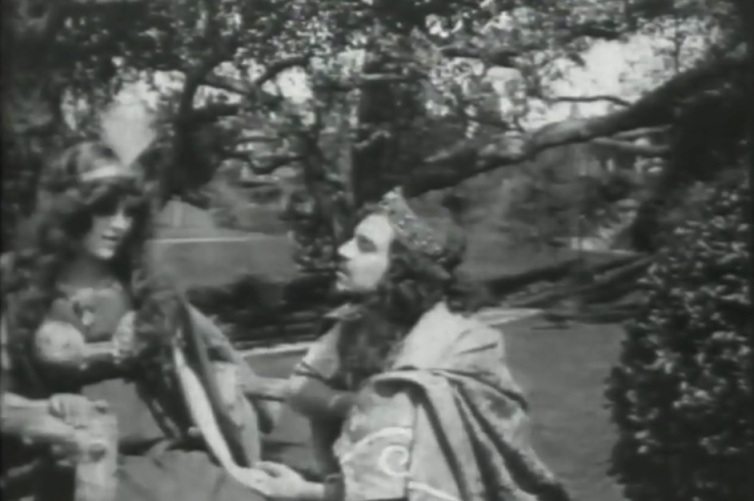 Florence La Badie is called by the king and James Cruze is left to wait in "Cymbeline" (1913). 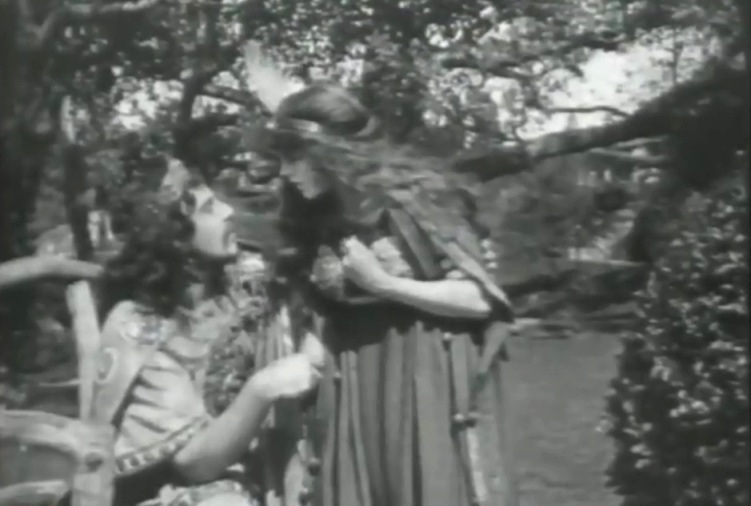 Florence La Badie meets William Garwood in "Cymbeline" (1913). Florence La Badie is asleep while William Garwood prepares to steal her bracelet in "Cymbeline" (1913). Florence La Badie gets a letter from her husband in "Cymbeline" (1913). 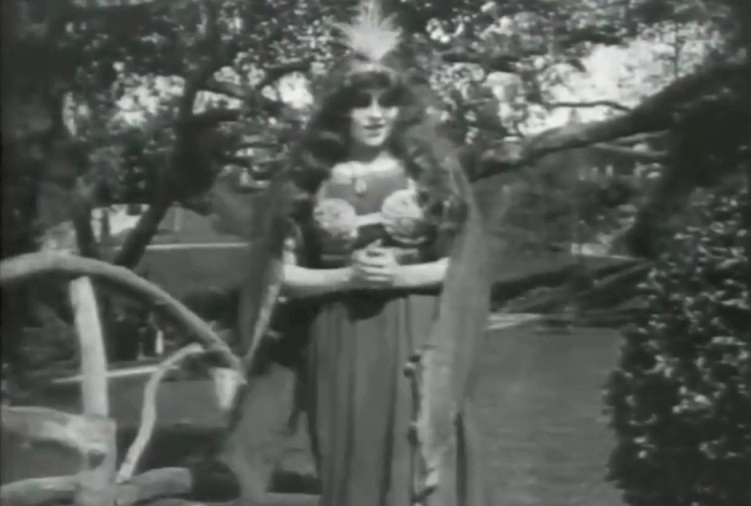 Florence La Badie looks for shelter dressed as a page in "Cymbeline" (1913). 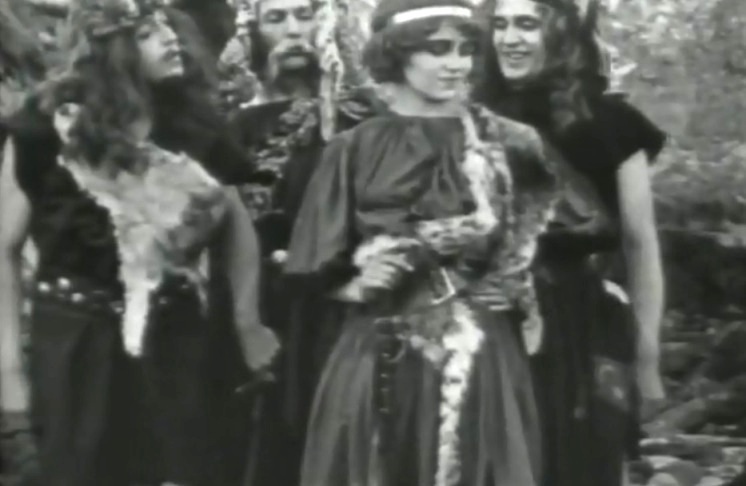 Florence La Badie is welcomed warmly by common people in "Cymbeline" (1913). Florence La Badie bids good-bye to the friendly hosts in "Cymbeline" (1913). 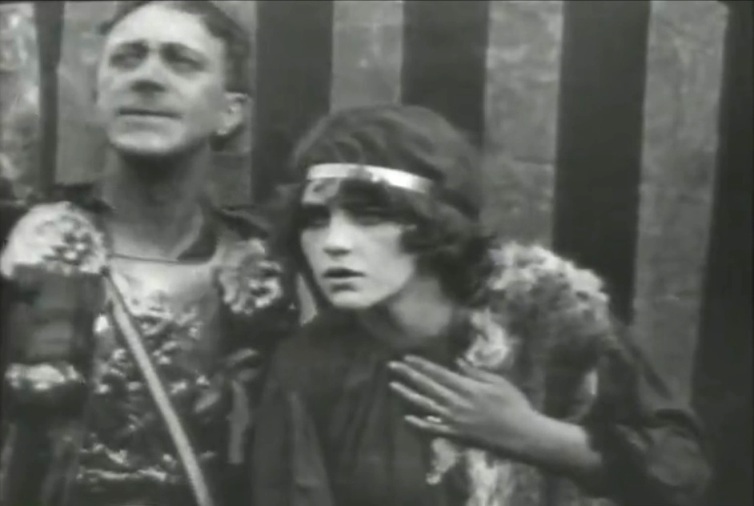 Florence La Badie observes the battle with a Roman general in "Cymbeline" (1913). 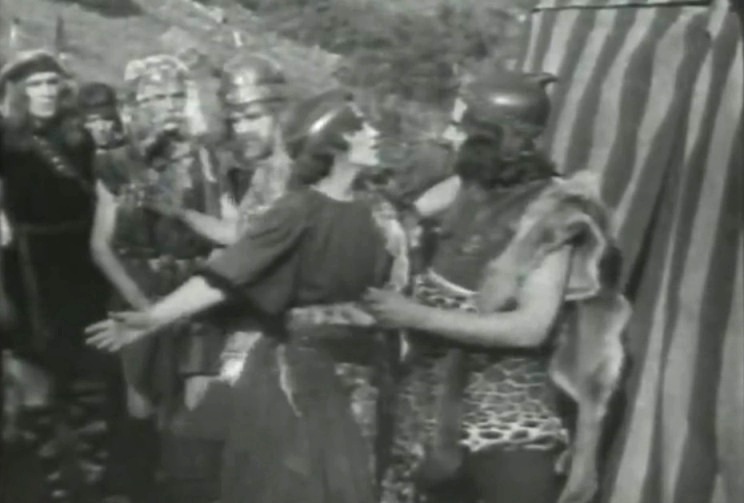 As the tide of the battle turns, Florence La Badie gets more hopeful and the Roman general more desperate in "Cymbeline" (1913). 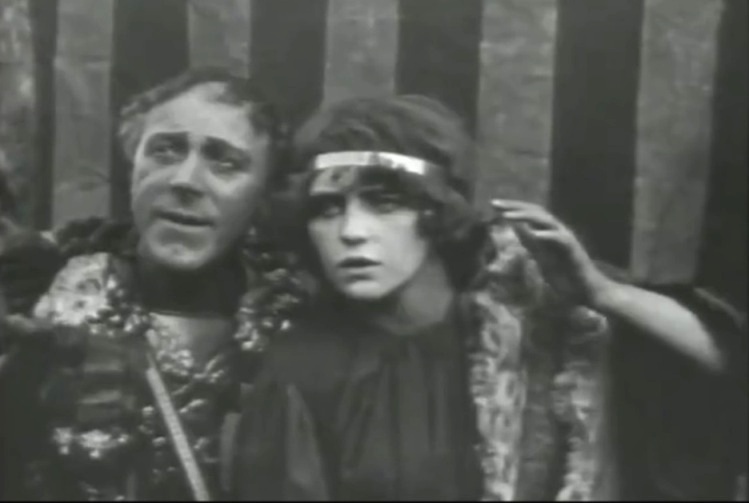 Florence La Badie meets James Cruze again in "Cymbeline" (1913). Florence La Badie and James Cruze renew their vows in "Cymbeline" (1913).